Let's start with a vision. Where do you want to be physically, mentally & emotionally? 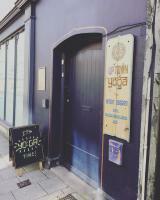 Jill's yoga style is just perfect, it is challenging enough without ever feeling unachievable and each session really sets the tone for the start of day or evening. It feels like she knows exactly where tightness and tension is held in my body as each class delivers what I need, I’ve never been taught so well to relax and open into poses. Jill will gently adjust peoples posture when needed and provides support and guidance to do the move correctly, I leave feeling mobilised, stretched, balanced, relaxed and energised at the same time. I can only describe Jills classes as magical. This lady is wonderful. I went from using a walking stick, to getting into positions I never ever thought would be possible. Jill is so calming, her voice helps you relax and forget all your worries. Sunrise and sunset yoga was lovely, something I had never experienced before. Thank you so much for a wonderful week Jill. Jill is a fantastic and inspiring teacher who attends to the little details that make a big difference! In a mixed ability class she was fab at ensuring we all got the best from our practice and had fun doing so. During a week long yoga retreat my favourite memory was a class in the evening sunshine by the pool with Jill providing a vibrant fluidity that the sunshine called for - we were all having a go at fun moves like side crow and it was relaxed and happy. I'm bendy and I like to push myself and from our first session Jill spotted this and helped me progress and ensure I had good form. No two classes are the same in any way except that they are all brilliant! I'm really glad we have met and feel invigorated and inspired by Jill. I hope to make it to Swindon for more regular sessions as I know Jill has a lot more wisdom to impart and I hope to soak it all up! A weeks yoga retreat with Jill has been the highlight of my 2017 to date! Jill is so passionate about her students practicing at their own ability and progressing at their individual pace. I attended 2 yoga classes a day, and each class was both different and interesting with new challenges. I even had a 1:1 session which I found invaluable, I just couldn't get enough! Jill has a amazing ability to literally "think on her feet " and deliver a class to suit/ meet many differing needs. Jill always demonstrates variations of a posture , and the use of props . Jill's yoga classes are great! Whether I feel tired or energetic before class I always feel 100 times better at the end of the 90 minutes. The atmosphere in the room has a very warm, relaxed friendly feel to it and Jill always makes you feel welcome and at ease. 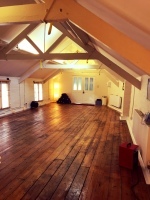 Jill is a very good yoga teacher and provides alternative postures if I have any difficulties and also has a calm teaching approach and I thoroughly enjoy her classes. I have recommended the class to my friends who also attend regularly. It is lovely towards the end of the class when we lay on our backs and as an extra touch Jill walks around us and places a lavender scented flannel over our eyes (if liked)-HEAVEN! Jill is such a lovely person & her classes are for everyone, no matter what ability. I am a fairly novice yogi and a 'larger & older' lady. Jill always makes everyone feel very welcome & at ease. I have definately become fitter & more flexible since I started yoga about 2 months ago. Come & join us! Jill is a fabulous teacher- she is kind, patient, encouraging and challenging and I have grown in strength and technique since she has been my yoga teacher. Her classes are always fun and I alway learn something new each time. After many years of participating in full contact martial arts, I was looking for a more gentle discipline that would meet both my physical and spiritual needs. I came across Jill's tuesday evening class and thoroughly enjoy her teaching style and yoga techniques and poses that she incorporates into every session. With Jill's support and encouragement, you can participate at whatever pace and level you wish to. This makes for a fun class without any competitive pressure. The relaxation at the end of the class is amazing and Jill's natural persona has a very healing quality. Thoroughly recommended….. I met Jill after looking hard to start yoga. I found Jill was very kind & understanding of my needs. Jill's yoga totaly changed my life and I have never found anyone that has got what Jill can offer. Jill can help you so much if you wish to be introduced to a yoga practice. * Please arrive 5 mins before the start of class. * Doors will be shut once the class is in progress. * In order not to disturb the class please check that your mobile phone is switched off. * No shows will be charged the FULL price of the class.